Afghanistan is a country in the Southeast Asia. 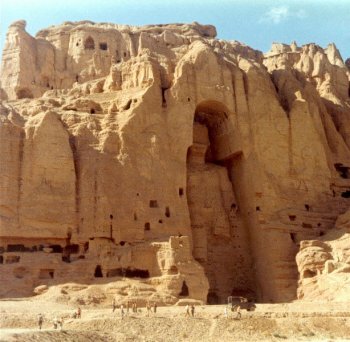 Over 1500 years ago the Buddhas of Bamiyan were built. its golden age was from 1823-1978. The best leader was King Amanullah Khan. Amanullah Khan was the son of Habibullah Khan whom he succeeded when assassinated. Before Habibullah Khan there was Amir Abdul Rahman Khan. Amunallah Khan led the afghan army to defeat the British when they attacked Afghanistan. He did defeat them but they still took a piece of Afghanistan with them which later became part of Pakistan. There was only one surviver from the British, Dr. Brydan. He also created Ariana Afghan Airlines. he brought trains to afghanistan too. He constructed a lot of beautiful monuments too. In addition, he also encouraged Afghans to keep them selves clean like encouraging them to shave their beards. he also told them get educated. Finally he was big on Women's rights. However, he was king from 1919-1929. The only reason he was king for 10 years was that the british made fake negative remarks about him to the Afghan people due to them losing the war to him. Then a lot of afghan people rose up against him and he fled the country to prevent war. He didn't want a war. He built Darul Aman, The Queens palace , and Tak e Zafar. After him there came King Nadir Shah. 5 years later he got assassinated. At just 15 years old his son Zahir Shah became king. Click to open the link below to view a history of Islam up till halfway through the Umayyads. He was very shy and ruled Afghanistan for over 40 years. The person who removed him from power was one of his relatives Daud Khan. He ruled 4 years as President, however the soviets kiled him before his term finished. I first traveled to Afghanistan in 2001, I visited in 2006, and I visited in the summer of 2010. 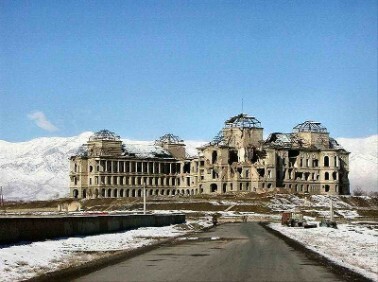 In 2010 when I visited I stayed at the Safi Landmark Hotel in Shar e Naw, Kabul. I went to kabul's suburbs too. I visited Salang, Char recar, and Paghman. Paghman and Salang were real beautiful especially with their streams. The streams were like 40 degrees since they were originally snow. I also visited Tak e Zaffar. After I visited the suburbs I went to Lake Qargha. It was beautiful. It had turquoise colored water. There were boat rides too. I rode a horse on the beach. Inside the city of Kabul we did our shopping at nice shops. We bought some nice paintings. The beggers in Kabul had decreased by 80% since 2006. There was much more freedom. I saw Darul Aman which was still in ruins. I visited this street name hay bazaar. This street sold all types of exotic animals over 80% cheaper than America. One parrot that costs 600 dollars here costs 10 dollars there. They also sold donkeys pigeons, and etc. Afghanistan is a world itself. They've got Panjshir people who typically look European. They have Blonde Hair blue eyes and lighter skin. There are hazaras. They look chinese. There are pashtuns who typically just look afghan. There are people from Jalalabad who look Indian. Finally there are people from Kandahar who look like a typical American. In my 2010 trip Afghanistan really got developed. There were so many wedding halls in the city (at least 50). A typical wedding there costs 30,000 American Dollars. 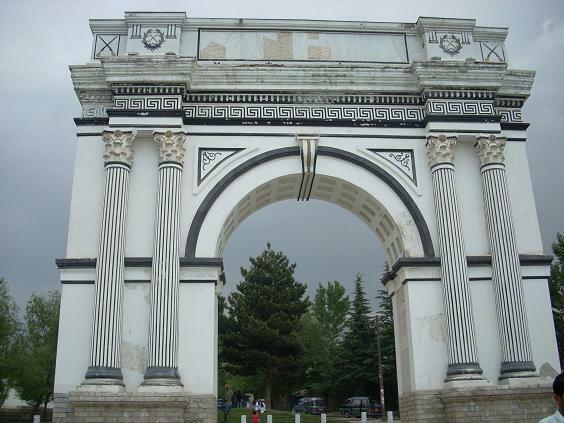 Bagh e Babur was restored. There were apartment complexes selling apartments from 160,000 American Dollars. Plus, there were million dollar homes there. 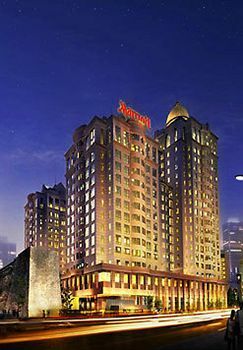 By 2012 they expect the first Marriot in Afghanistan to open in Kabul. They actually have a KFC there. India is a country with a long history. 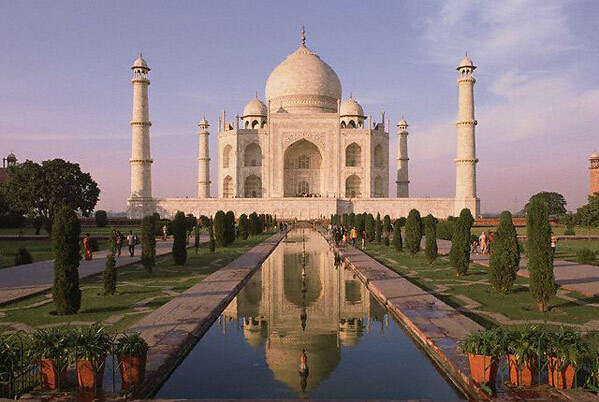 The Moghuls came and built the Taj Mahal along with other beauties. They made Qutab Minar. 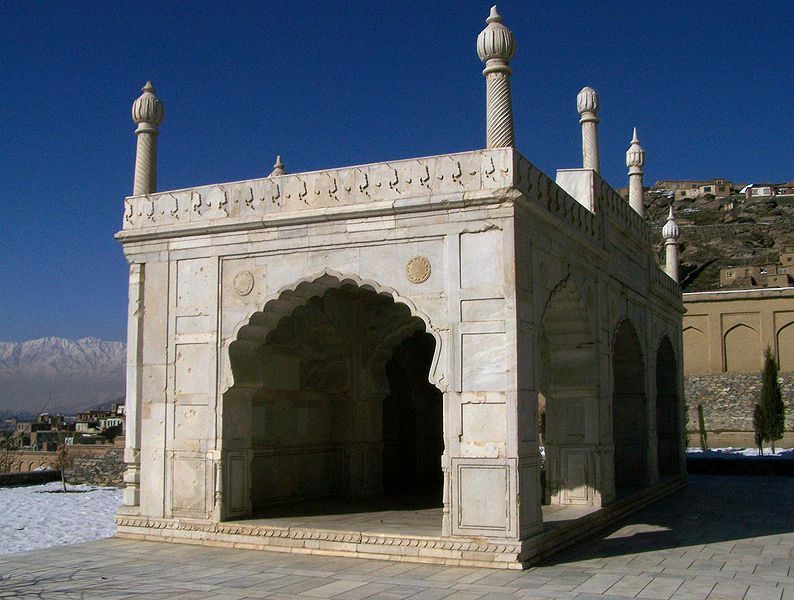 The Moghul Empires 1st king is buried at Bagh e Babur, Kabul, Afghanistan. India was controlled by the british from 1856-1947. The British modernized India, but were treating Indians horribly. They had made India their own Colony. 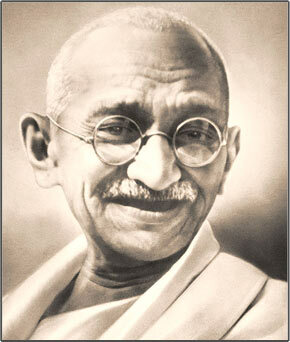 By 1947 the people of India thanks to Mahatma Gandhi stood up against the British and India got its independence. However the British purposely separated India into three countries: Pakistan, Bangladesh and India. Pakistan was formed by one province of india and one section of Afghanistan they took during the war between the British and Amanullah Khan. Mahatma Gandhi got assassinated in 1947 too. India's current Prime Minister is Manmohan Singh. India has the largest democracy. I went to India in March 2010. I arrived at Indira Gandhi international Airport in Delhi, India. On the first day we went straight to our hotel. On the second day we took a taxi to Agra, India. It was like 95 degrees. I saw the Taj Mahal. After going to Agra, the next morning we drove to Jaipur, India. 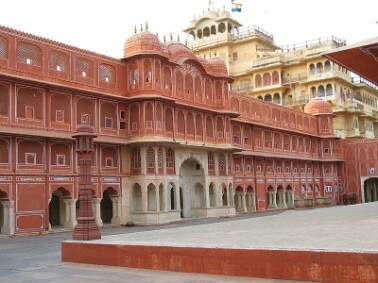 Jaipur is home to the famous Pink City. The Pink City had a lot of bazaars. We took a rickshaw through some parts of it. In the morning we took a taxi to the elephant rides. From there we went to this famous castle. 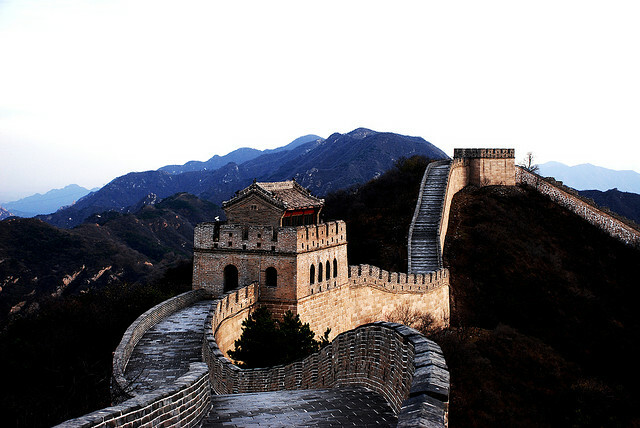 The castle was surrounded by a huge wall like the Great Wall of China. That same day we took our taxi back to New Delhi. 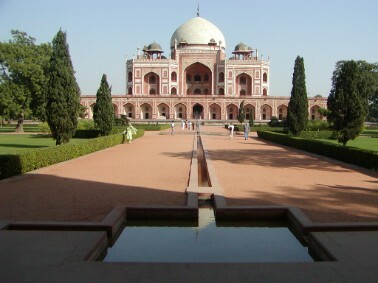 From there we looked at Qutab Minar, Homayon's tomb, India gate, and Nizamuddin. 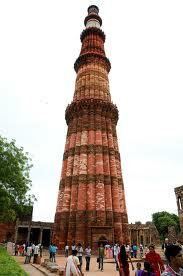 Qutub Minar is like the washington monument but prettier and 2.5 times the size, yet it was built 800 years ago. Homayon's tomb was an ordinary tomb. Nizamuddin was in Delhi. It was a muslim section of the city. They had a huge mosque and a lot of shopping. However, there were a lot of poor people begging for money. If you compare Afghanistan and India in Cleanliness, Afghanistan will be like purified drinking water compared to India. According to wealthiness Afghan people are billionaires compared to average Indians. I'd rather live in Afganistan than India. 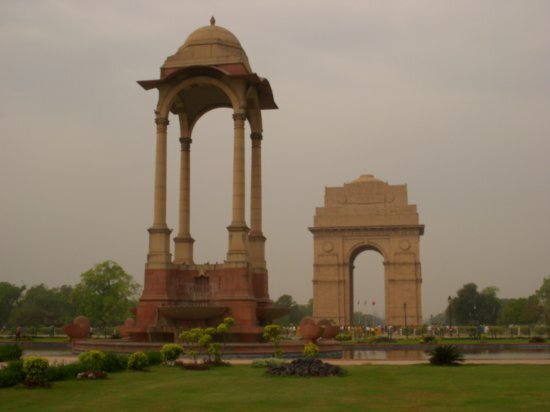 India gate was located in the political section of New Delhi. It was pretty cool. 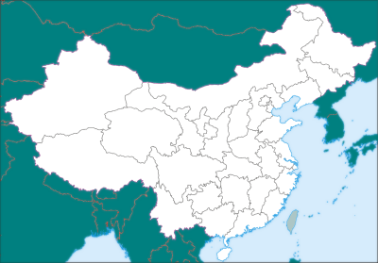 China has had monarchy ever since it was created in 200 b.c. or so. However, in 1949, Mao Zedong overthrew the monarchy and brought Communism to China and remained as a dictator till his death in the 1970s. 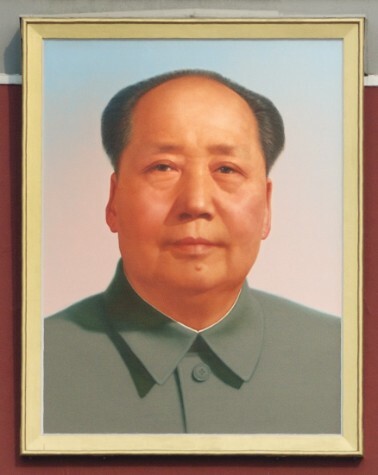 Mao Zedong made China's population go fro 500000 to 1 billion because he told people to bring more children in order to improve the economy. However they didn't improve the economy. Ever sine his death China has had a new group of leaders that helped make the country catch up with America and Europe. The new government brought capitalism to major cities in China. Thats what helped improve them. They also attracted American companies with cheap labor. 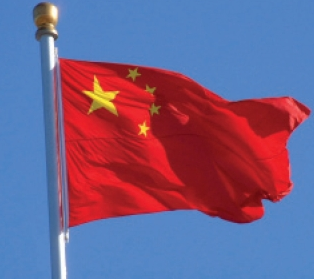 Now China has 1 of the best economies in the world. China did this by basically promoting the one child policy. 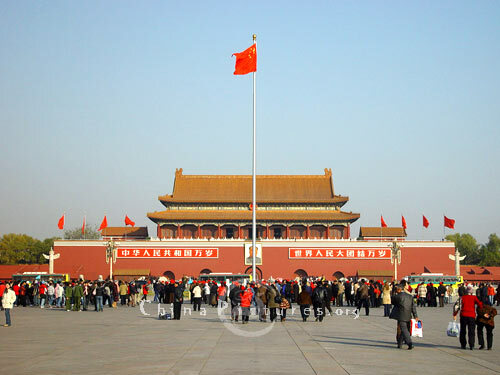 I went to China in December of 2008. It was real cold. It was about 7 degrees Fahrenheit. There were winds along with that. In Beijing near Tian'anmen Square, there was a small lake and in the middle was an island. The lake was frozen 10 feet deep at least. They had ice skating equipment and ice bicycles and so on. I walked to the island easily. Beijing had so many high tech buildings, hotels and shopping centers. We stayed at the Marriot City Wall and it was amazing. It had an awesome pool. The next day we went to a glass factory and from then we saw the cheap labor. People were working in the cold conditions with little heat from a heat lamp for like 10 hours a day. After there we went to the Great Wall of China. It was extraordinary. At the Great wall it was like -5 degrees fahrenheit. I was freezing. My mom and sister had stayed in an information center. Me and my dad started climbing the wall for about 20 minutes. Then I started to panic because we were so high up and the wall was covered totally covered with ice forcing someone to slip. The wind had also piked up to about 40 mph. When we came back down we went back to the information center and bought some souvenirs. From there we went back to our hotel. Finally we bought some chinese tea and took a flight back home. Israel is a country in the middle east that declared its independence in 1948 the day before the British Mandate for Palestine expired. Israel was formed on the places in palestine ruled by the british. When Israel was formed Arab countries refused to recognize Israel as a country or Jewish state. This led to many wars among the Israelis and arabs. The most famous war was the six day war in June 1967. It was the 3rd war among Israel and the Arabs. This war actually benefited Israel even though the arab countries started it. Israel gained control of the Sinai peninsula and the Gaza Strip. However Israel doesn't control those areas. Egypt, thanks to Jimmy Carter was the first Arab state to recognize Israel as a Jewish state. Now Israel is still at risk of both Arab and Iranian attacks. I went to Israel in December 2009. It was extraordinary. Israel is a very developed country. We arrived in Tel Aviv, which is on the coast with beautiful beaches with colorful exercising places. Tel Aviv was full of beautiful modern structures. However, Jerusalem was the city I liked best. Jerusalem had 4 quarters: The Armenian, Jewish, Christian, and Muslim quarters. Each section had its own culture or religion. The Jewish Quarter contained the Tower of David and Western wall. The Christian quarter contained a couple of churches. The muslim quarter contained the Dome of the rock, Masjid Al-aqsa, and a couple of arab bazaars. The Dome of the Rock and Masjid Al-aqsa had a gorgeous view of the city of Jerusalem. The arab bazaars contained the best material for a bargain cause you could bid. The most favored thing by me and everyone else was the Pomegranate Juice. It tasted awesome. It was freshly made. The price was very low at 50 cents. They also sold pomegranate juice makers to take home with you. The city also had a new city version too. The dead sea was extraordinary too. When I lay down on the water there was no drowning. Thats how salty it was. The dead sea mud was popular too. Everyone at the dead sea beach I was at was rubbing mud on themselves cause its healthy for their skin. Pictures will be posted soon. In 1978, the Soviets (now Russia) invaded Afghanistan because president Daud Khan cut relations with them. Their communist government took control over the government. 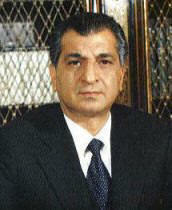 They appointed Mohammad Taraki as president. However, he got killed a year later by Haffizullah Amin. Therefore, Hafizullah Amin became president. The next year he got killed by the Soviets and Babrak became president. The soviets didn't like Babrak, so 2 years later they appointed Najibullah Khan as president. He was Prime Minister under the soviets from 1986-1989. The Mujahideen defeated the soviets. He continued to be prime minister up till 1993. The Mujahideen overthrew him. The Mujahideen ruled the country, but they were fighting amongst themselves till 1996. In 1996, it became anarchy, the Pakistan government controlled Taliban took over and brought extremism forms of islam to Afghanistan which led to violence. Ahmad Shah Masoud and his millitary over threw them in 2001. On September 9th, 2001 two arab journalists from London killed him and themselves with a video camera bomb. Since the Taliban got defeated, the leader of Afghanistan has been Hamid Karzai.